Finance Minister Piyush Goyal had announced the Prime Minister Kisan Samman Nidhi (PM-Kisan) scheme for small and marginal farmers in the interim budget of 2019-20. The beneficiaries of this scheme will get the benefits of farmers holding upto two hectares. Under the scheme, Rs 6,000 will be deposited in three installments of small farmers’ accounts. The plan is estimated to benefit 12 crore farmers. While releasing the operational guidelines of this scheme of Rs 75,000 crore, the Government has said that the registered physicians, engineers, lawyers, chartered accountants and architects of their professional bodies and their family will not be eligible to avail the scheme. 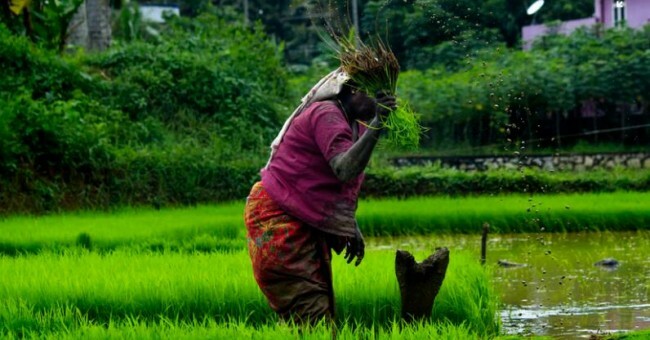 In the guidelines, the small and marginal farmers have been defined as such farming families in which, according to land records of the respective State or Union Territory, the husband, wife and minor children, collectively, the cultivable land is two hectares or less. Under the scheme, the government will release the first installment before March 31. Aadhaar number is not necessary for getting the first installment, but it will be mandatory from the second installment. Institutional land owners have also not been included in the list of beneficiaries. If one or more members of a farmer family belong to the following categories … existing or former minister, minister of state, Lok Sabha-Rajya Sabha, pre-existing or existing members of any municipal corporation If the former or existing mayor and the existing or former chairperson of the district panchayats … they will not get the benefit of this scheme. In addition to this existing or retired employees of the Central and State Governments, regular employees of the local bodies (in which multi-tasking staff-category four-group D employees are not included) will not get the benefit of this scheme. All retired employees or pensioners who have a monthly pension of Rs 10,000 or above will also not get the benefit of this scheme. In this there are multi-tasking employees-Class four-Group D employees not included. However, the benefits of this scheme will not be available to all those who have made income tax in the last assessment year. The Central Government launched the PMKISAN.nic.in portal to give the benefits of the Prime Minister’s Kisan Award fund to the farmers. To take advantage of this scheme, the State Governments have to list the eligible farmers on February 25 by the portal. It is learned that the list of 50 lakh farmers has been put on this portal by the Uttar Pradesh government. In this list, the land owner’s name, gender, social classification (scheduled caste / scheduled tribe), base number, bank account number and mobile number etc. will be included.